Computer modeling of ecological systems is the activity of implementing computer solutions to analyze data related to the fields of remote sensing, earth science, biology, and oceans. The ecologists analyze the data to identify the relationships between a response and a set of predictors, using statistical models that do not accurately describe the main sources of variation in the response variable. Knowledge discovery techniques are often more powerful, flexible, and effective for exploratory analysis than statistical techniques. This chapter aims to test the use of data mining in ecology. It will discuss the exploration of ecological data by defining at first data mining, its advantages, and its different types. Then the authors detail the field of bio-inspiration and meta-heuristics. And finally, they give case studies from where they applied these two areas to explore ecological data. Several statistical methods exist to explore a large search space when knowledge exists are not sufficient to create a single parametric model. One of these methods is popular among ecologists, it is called the multi-model inference based on the use of Akaike information criteria from which a small number of Model (Burnham, 2011). To analyze a large number of models, the Monte Carlo techniques with reversible Markov chain were found (King, 2004). Other approaches appear when the predictive variables are specified, the weak point of these variables is that the relations between the predictive variables and the response variables are complex (Wood, 2006). All these techniques offer confirmatory analysis of ecological data with analytical flexibility designed to test the model parameters and the assumptions represented, but they remain insufficient if knowledge is minimal or not clearly represented. However, exploratory analysis presents the best solution for analyzing ecological data and generating new hypotheses. Exploratory analysis techniques have proved to be better than statistical techniques (John, 2010). Automatic and accurate prediction of data. The identification of important predictive variables from a large number of variables. The ability to process data without making assumptions about the relationships between predictive variables and response variables. That is, unlike the statistical techniques from which the user must specify as parameters to enter the important predictive variables and the formal representation of the relations between variables, data mining techniques do not take these parameters but they do it automatically. These advantages guide ecological researchers to develop powerful exploration techniques (Hochachka, 2007)(Anderson, 2006). With the advancement of exploratory techniques, researchers have founded many approaches to this task, giving rise to the domain of data mining with different approaches and a single goal, Extraction of hidden knowledge in the data. This area in turn has been expanded more and more to reveal another area called bio-inpiration and meta-heuristics, the latter considers nature as a source of inspiration for new approaches dedicated to the Data mining. 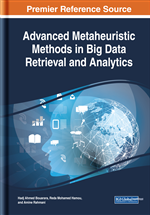 In this chapter, the exploration of ecological data will be discussed by defining data mining, its advantages and its different types at the beginning, and the field of bio-inspiration and meta-heuristics will be detailed in order to give case- Studies where they applied these two domains to explore ecological data.